Tablet kiosk solution provides customer experience boost for government services. Government facilities do not have to remind us about the wait times and lack of staff efficiency to serve their citizens. Utilizing technology tools such as interactive kiosks, can positively change customer experience while being engaged in government related tasks. Large deployment of easily accessible self-service kiosks can boost productivity and save customers and employees time to focus on more complex tasks. 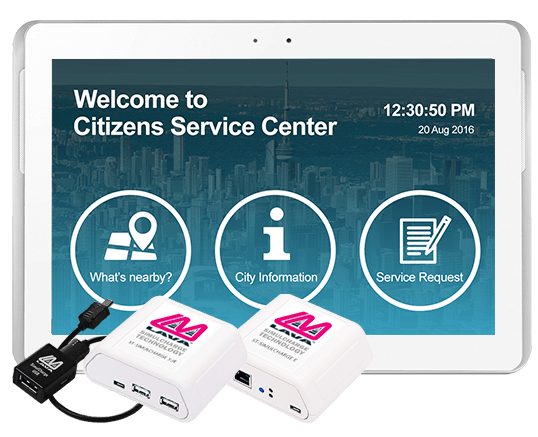 Satisfying interactive experience, decreasing wait times, enabling 24/7 services, and reducing staffing costs make tablet kiosks a solution of one of the most widely deployed technology’s that is trusted by the government. The growing need for optimization of government offices to serve better and faster to their citizens makes cost-cutting tablet kiosks a solution that ishighly demanded. 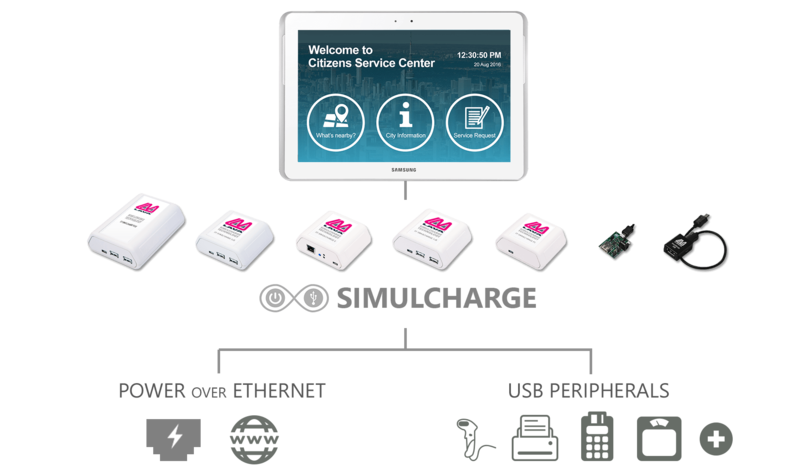 LAVA USB LAN/PoE/ Simulcharge Adapters, together with solution integrators such as Dominion Voting or GTL (correction facilities) simplify small or large deployment of tablet kiosks and make them accessible to everyone.